Muslim2China.com, a China Based online travel agency & tour operator, is affiliated to TourdeChina International Travel Service ltd,which was established in 1997, gathers more than 380 professional travel consultants and 480 licensed multilingual tour guides, team leaders and escorts interpreters. We own more than 10 branch offices in most major cities in China like Beijing, Shanghai, Xian, Guangzhou, Guilin, Chengdu, Shenzhen, Hong Kong, Zhuhai, Macau, Singapore and Los Angeles, as well as a professional tour guide management & service subsidiary. We provide professional China travel-related services such as private China tours, fixed date join group tours, free & easy china tours, high-end MICE services, China golf service planning & organization, hotel reservation, domestic & international air ticketing and so on. We are the accredited member of Grayline Worldwide, PATA (Pacific Asia Travel Association), IATA (International Air Transport Association), HATA (Hong Kong Association of Travel Agents), CATS (China Association of Travel Services), TIC (Travel Industry Council of Hong Kong). 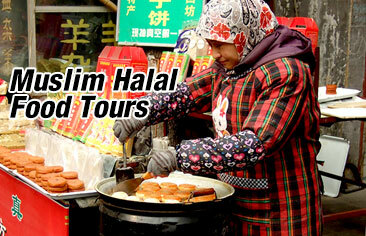 Do you currently sell China Muslim2China tours? What you will gain As a result? Continuously updated China tourism insights and trends.